Bed bugs are a pest that has become common again in the United States thanks to regulations on pesticides. Virtually every major city in North America has an existing infestation of the tiny creatures. You’re likely already familiar with how bed bugs can be a huge problem for humans and the irritation and general misery they could cause. But many people also worry for their pets when bed bugs strike. Do you need to? The first thing to remember is that bed bugs are not fleas or ticks. They don’t behave the same way and are rarely brought into a home or dwelling on the skin of a human or animal. They’re also not known to carry diseases. And there are some things to keep in mind about bed bugs and your pets. To give you some information and peace of mind, we’ve outlined some commonly asked questions about bed bugs and pets by homeowners fearful their house or apartment has become infested. Do They Live on Pets? The short answer is no. Bed bugs get their name because of their common shelter of choice. They live in beds because it’s where humans are sedentary most of the time. If you spend a lot of time on the couch, they’ll start to set up shop there as well. They go wherever food goes but they don’t live on skin, they’re actually quite intolerant to heat. So they don’t like to hang out on animal or human bodies. Can They Bite My Pets? Yes, your pets can become meals for bed bugs. Bed bugs will go for any mammal as a food source and won’t differentiate too much between species. What makes you an easier target is that you have a routine that jives with their nocturnal behavior. Still, keep an eye on your pets as they can become a target and treat bites accordingly. 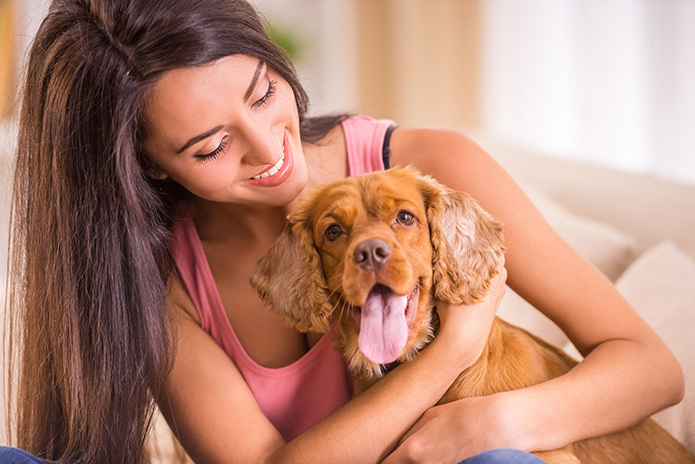 What Do I Do If My Pet Was Affected? Keep an eye on potential bites and treat them accordingly. But, if during the treatment process, you think your pet’s bedding may have become infected treat as you did the other bedding: laundering it at the highest possible temperature then securing it. If it’s bedding with tears or holes, consider discarding it (but be sure to laundry it as above to ensure you don’t inadvertently spread the bed bugs while disposing of it). Do Flea or Pest Control Chemicals Help Against Bed Bugs? One of the big problems with bed bugs is how difficult they are to kill with pesticides. The only surefire way to get rid of them is heat. The majority of over the counter pesticides that claim to be for bed bugs don’t do much again them and pesticides not designed for bed bugs specifically certainly won’t. The first thing you’ll want to do is confirm it’s actually bed bugs and not one of the many lookalike bugs out there. You’ll be able to tell by anatomy, habit, and location. But, if you suspect you might have bed bugs, you’ll want to immediately call a professional bed bug exterminator to confirm it and then go from there on a treatment plan. Bed bugs are frustrating and can cause misery in your home. But your pets aren’t in all that much danger from them. Still, it’s worth doing the research to ensure your home and all its occupants are safe and comfortable. As a professional bed bug and pest exterminator for over 30 years, Hi-Tech Pest Control can help you determine if you have a bed bug problem in your home or business. With a Free Inspection. Using the latest technology and methods for eradicating your bed bug or pest problem guarantees success. We are so confident in our approach to eliminating bed bugs that we are the only Michigan bed bug company to offer a 6-month warranty on all bed bug extermination services. Call today!